While we could easily fill several pages with suggestions of great films and cool box sets that deserve a spot on any holiday wish list, we’ve picked some of our favorites released over the past 12 months. If you can’t find anything worth buying here, then chances are that the person you’re shopping for doesn’t like movies. Click the links within the write-ups to purchase each product online, and check back throughout the week for more additions to our Holiday Gift Guide. 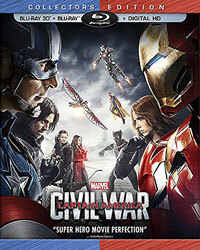 “Civil War” has been jokingly referred to as “Avengers 2.5,” and for good reason, because while the movie may be a Captain America sequel in name, it’s a continuation of several different story threads from “Winter Soldier,” “Age of Ultron” and more. Though the film feels a bit crowded at times with all the various characters and cameos (including the introduction of Black Panther and Spider-Man), they never overshadow the central conflict. Unlike “Batman v Superman,” “Civil War” actually gives its characters a reason for fighting, and that goes a long way in legitimizing the ideological and physical clash between its opposing heroes. The movie isn’t perfect – Daniel Brühl’s villainous Zemo is underserved, and the filmmakers ignore a key argument in favor of the anti-registration side – but it does such a good job of balancing the emotionally-charged narrative with some excellent action sequences and fan service that those flaws seem trivial in comparison. “Civil War” is perhaps Marvel’s darkest and most mature film to date, but it still knows how to have fun, and that’s key to its success. Shane Black is to buddy cop films what Raymond Chandler is to hard-boiled crime novels, and his latest movie, the retro detective noir “The Nice Guys,” is arguably his best entry in the genre since redefining the buddy cop formula three decades earlier with “Lethal Weapon.” Although it hits all the usual beats of a Shane Black feature, “The Nice Guys” does so with such remarkable efficiency – brimming with humorous banter, exciting action and even a little heart – that it feels totally fresh. 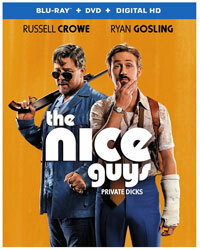 Black and co-writer Anthony Bagarozzi’s dialogue crackles with wit and humor, while the chemistry between Ryan Gosling and Russell Crowe is simply outstanding. The two actors form one of the best double acts in recent memory, and though Crowe is quite good as the sardonic straight man, Gosling is the real standout, delivering a side-splittingly funny physical performance that makes great use of his comedic abilities. “The Nice Guys” doesn’t reinvent the wheel in any way, but it’s a consistently enjoyable flick that reconfirms why Black is the best at what he does. Writer/director John Carney specializes in making musical fairy tales for the soul, with each film functioning like its own album. If “Once” is his critically acclaimed debut, and “Begin Again” is the more mainstream (but less successful) follow-up, then “Sing Street” is the personal album that gets back to his roots. 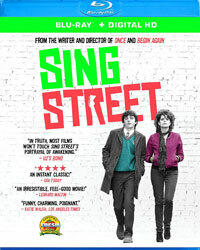 A semi-autobiographical coming-of-age tale that ranks as one of the most pleasant moviegoing experiences in recent years, “Sing Street” features Carney at his very best. Although there’s not a lot of meat to the story, the film does a good job of tracking Conor’s artistic awakening as he discovers his own identity through experimentation with different musical styles and the awful fashion trends that accompany them. The mostly unknown cast is great, especially Jack Reynor as Conor’s older brother/musical guru, while the original songs (each one better than the last) are catchy enough to believe that the titular band could actually succeed. Though their progress happens a little too easily to be realistic, Carney makes the whole fantasy go down so smoothly that you won’t mind. If Jeremy Saulnier’s slow-burning sophomore effort “Blue Ruin” announced him as a filmmaker to watch, then “Green Room” confirms that he’s the real deal. A brilliantly taut and grisly horror-thriller that defies genre conventions at every turn, “Green Room” is one of the most intense moviegoing experiences in recent years. There’s hardly a single wasted frame in this tightly-paced siege film, turning the screw on its characters (and the audience itself) with some nail-biting tension that doesn’t let up. The violence is gory but never gratuitous, while the lived-in performances – particularly Anton Yelchin’s frightened musician and Patrick Stewart’s surprisingly calm and rational white supremacist – lend an unsettling authenticity to the proceedings. 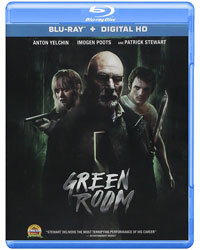 The movie is at its best when the band is trapped inside the titular room, and although the suspense is slightly deflated once the action spills out into the rest of the building, becoming a more visceral affair where duct tape and a box cutter are the primary tools for survival, “Green Room” maintains its vice-like grip on the audience. Nobody makes “slice of life” movies quite like Richard Linklater. From his directorial debut “Slacker,” to the 1993 cult classic “Dazed and Confused,” to the Oscar-nominated “Boyhood,” Linklater thrives at creating films that you experience rather than simply watch. His latest movie is no different, a spiritual companion piece to “Dazed and Confused” that features the same loose narrative structure. 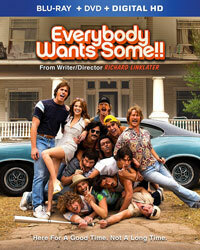 Thankfully, “Everybody Wants Some! !” is so entertaining that the dearth of plot and character development goes largely unnoticed. It’s like hanging out with a bunch of your closest friends for two hours, and while that could have been a disaster with the wrong actors, Linklater’s mostly unknown cast has such amazing chemistry that it all seems effortless. Everyone plays their part, but Glen Powell and Wyatt Russell are the clear standouts, while Zoey Deutch brings a welcome female perspective to an otherwise male-dominated film. Though the forced philosophical discussions are classic Linklater in the worst way, “Everybody Wants Some! !” is a fun and lighthearted throwback to the early 1980s that perfectly captures small-town college life through the director’s nostalgia-tinted glasses. Despite its commercial success, “Finding Nemo” wasn’t exactly screaming for a sequel, and yet with “Finding Dory,” Pixar has produced one of their best sequels yet. 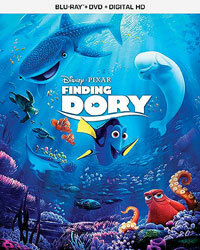 The movie feels less like a cash grab than a thoughtful continuation of Dory’s personal journey, staying true to what makes the character unique (her short-term memory loss) without being hampered by its limitations, all while finding creative ways to progress the story and further develop Dory as a character. The movie also boasts a better voice cast than the original, including standouts like Ed O’Neill (as a cantankerous octopus named Hank), Ty Burrell (as an insecure beluga whale) and “The Wire” stars Idris Elba and Dominic West (as a pair of lazy sea lions), resulting in several memorable new characters. Hank, in particular, is a visually impressive piece of animation that highlights just how far Pixar has come in the 13 years since the original. Although the film runs a little too long, “Finding Dory” succeeds as a mostly enjoyable sequel that avoids being a complete rehash while still giving fans what they want. “Dr. Strangelove” may not be Stanley Kubrick’s most popular film, but it’s arguably his best – a pitch black political satire that’s as hilarious as it is frightening. The movie remains one of the funniest comedies in history thanks to some masterful performances, chief among them Peter Sellers, whose comic brilliance is on full display in three very distinct roles. The madcap title character is the showiest of the bunch, but Sellers generates bigger laughs as the more reserved Mandrake and Muffley, including a classic sequence (famously improvised by the actor) where the latter informs the Russian Premier about the unauthorized attack. George C. Scott is also great as the commie-hating General Turgidson, who serves as the perfect foil to Seller’s straight-laced politico, literally chewing up scenery with his ever-growing wad of gum. The duo’s war room scenes are some of the most entertaining moments in the movie, and while that’s partially due to the actors themselves, it’s Kubrick’s ingenious satirizing of the deadly serious source material (Peter Gregory’s 1958 novel “Red Alert”) that makes “Dr. Strangelove” such a revered comic masterpiece. 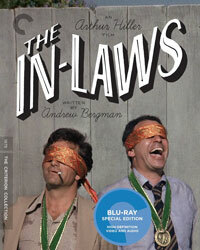 Arthur Hiller’s “The In-Laws” may have had its reputation slightly bruised by the 2003 remake of the same name, but it’s an enjoyable odd-couple comedy that succeeds thanks to the great chemistry between stars Alan Arkin and Peter Falk. This is easily one of the best performances of Arkin’s career, earning a majority of the laughs as the neurotic straight man to Falk’s volatile wise guy. There aren’t many actors who can do deadpan humor quite like Arkin, but it’s to the credit of Falk (who underplays the madness of his character) that it works as well as it does. The movie also features a number of great character actors in early roles, although none do so much with so little as James Hong, who shines in an amusing sequence as the co-pilot of a puddle jumper transporting Vince and Sheldon to Central America. Nothing rivals the famous “Serpentine” gag, of course, but there’s enough hilarity packed into Andrew Bergman’s script that it’s surprising the film isn’t better known. Don’t know what to buy that diehard horror fan in your life? Look no further than Scream Factory, the sublabel of Shout! Factory that specializes in releasing notable (and underrated) cult horror movies, many of which have never been available on Blu-ray. More recently, the company expanded its reach by acquiring the rights to some of the genre’s most popular films and re-releasing them with new digital transfers and bonus material. 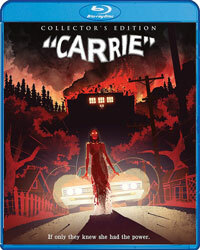 The best of the bunch is the 40th Anniversary Edition of Brian De Palma’s “Carrie,” which boasts a 4K digital scan of the original negative, as well as never-before-seen interviews and a featurette on the film’s locations. 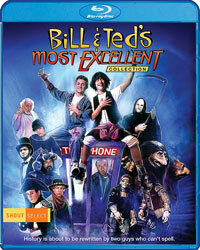 Other noteworthy titles include genre classics like “The Thing” and “Child’s Play,” as well as lesser-known fare like Don Coscarelli’s horror-comedy “Bubba Ho-Tep,” which stars Bruce Campbell as an aging Elvis Presley who must battle a 3,000-year-old Egyptian mummy when it attacks his retirement home. Not all of Scream Factory’s releases are winners, but they’re all treated as such, and that’s why the company has become so trusted among horror fans. If horror films aren’t your thing, then Shout! Factory’s latest imprint – a sort of poor man’s Criterion Collection called Shout! Select – may be more your speed. Designed with cinephiles in mind, Shout! Select shines a light on movies that deserve a spot on any film lover’s shelf, from celebrated classics to overlooked gems. Kicking off with the 1984 cult classic, “The Adventures of Buckaroo Banzai Across the 8th Dimension,” other recent titles include the Robert De Niro/Charles Grodin buddy cop film “Midnight Run,” William Friedkin’s “To Live and Die in L.A.” (featuring a new 4K scan approved by the director) and “Bill & Ted’s Most Excellent Collection,” a three-disc box set that includes both movies on Blu-ray together for the first time, as well as several new audio commentaries and retrospectives. Almost every Shout! Select title comes with new bonus material (and in some cases, a new digital transfer), and each spine is numbered for those who want to collect them all. Though that could get pretty expensive over time, isn’t that what the holidays are for? With 4K televisions and Blu-ray players slowly making their way into more households, movie studios have embraced the new technology by releasing Ultra HD versions of their latest and most worthy titles. 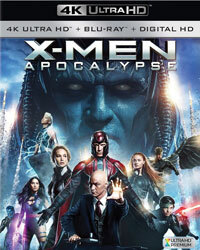 Not every film benefits enough to justify paying twice the price for higher resolution or HDR (high-dynamic-range imaging that offers a much wider array of color and light), but studios like 20th Century Fox have done a good job of selecting titles where consumers will notice the biggest difference. Provided you have the right audio/visual setup, you can bring a theater-level experience right into your home with visually stunning dramas like “The Life of Pi” and “The Martian,” CGI-fueled blockbusters like “Independence Day: Resurgence” and “X-Men: Apocalypse,” and even kids films like “Ice Age: Collision Course.” Although we wish that Fox would actually include UHD digital copies with their 4K discs (after all, it only seems fair), that’s not exactly a deal breaker, at least not until more devices support the format.